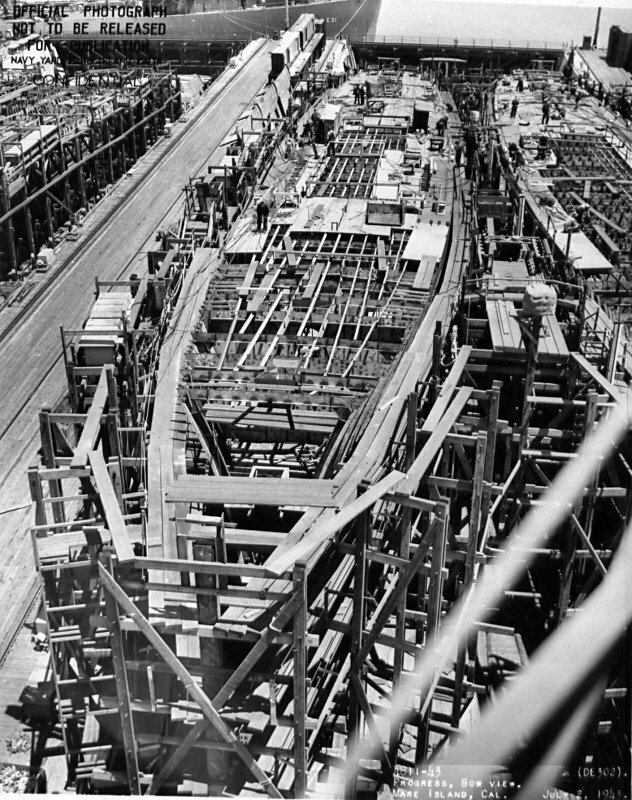 22 April 1943: Keel laid by the Mare Island Navy Yard, Vallejo, Cal. 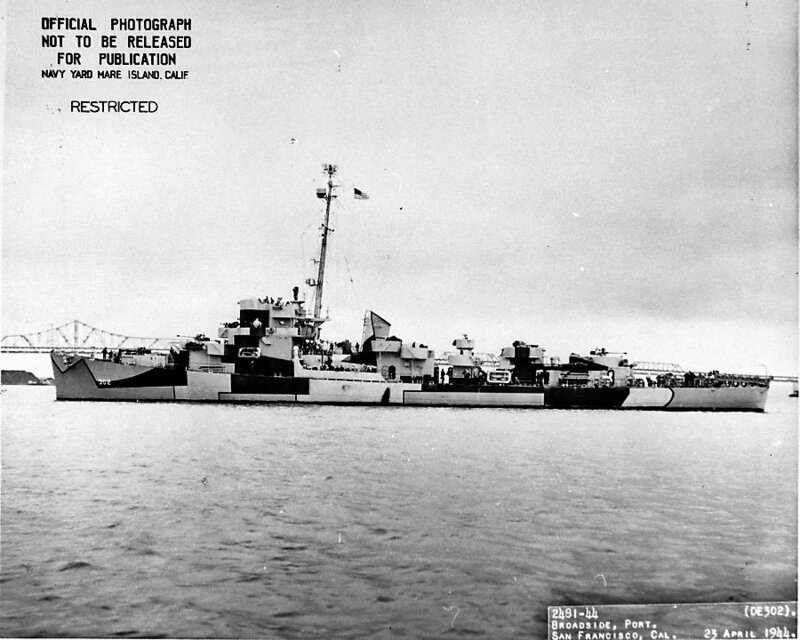 05 December 1945: Decommissioned at Kaiser Yard #2, Richmond, Cal. 26 December 1946: Sold for scrapping to the Puget Sound Navigation Co., Seattle, Wash.
175k 02 July 1943: Bow view of USS Lyman (DE 302) is seen on the building ways at Mare Island. 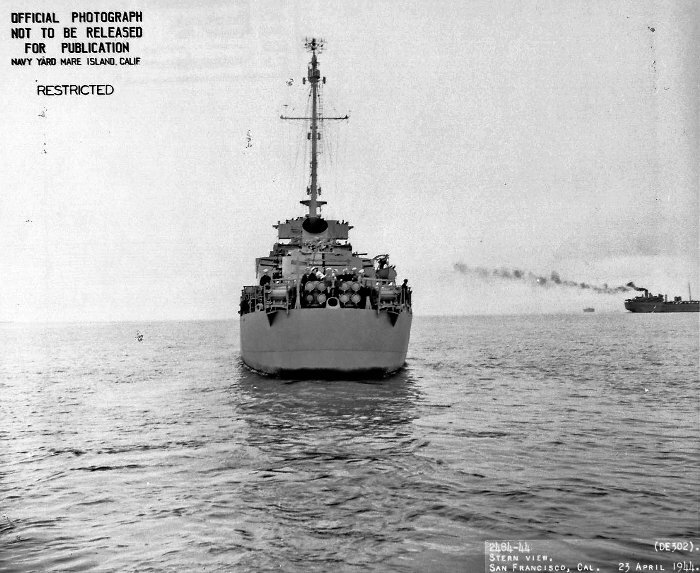 The USS Lake (DE 301) is on the right. 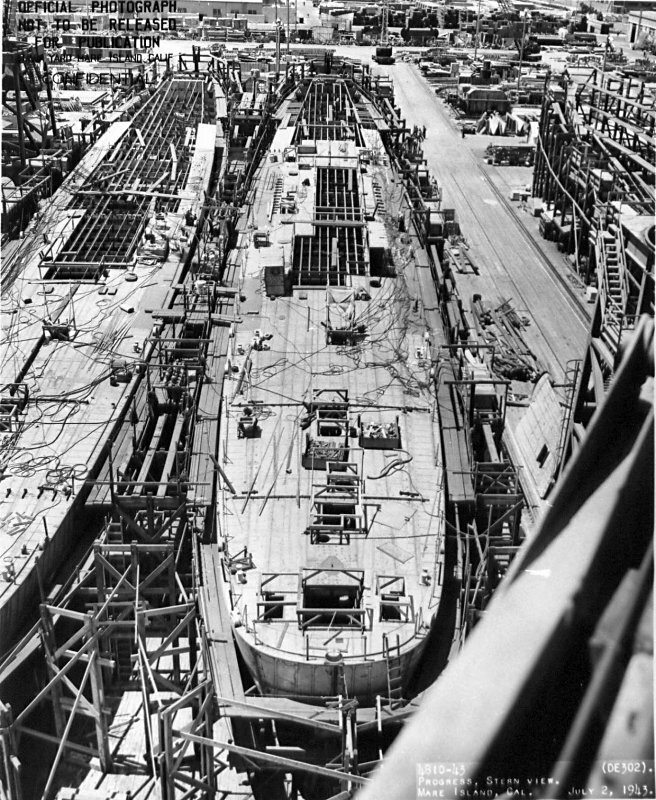 189k 02 July 1943: Stern view of Lyman is seen on the building ways. Lake is on the left. 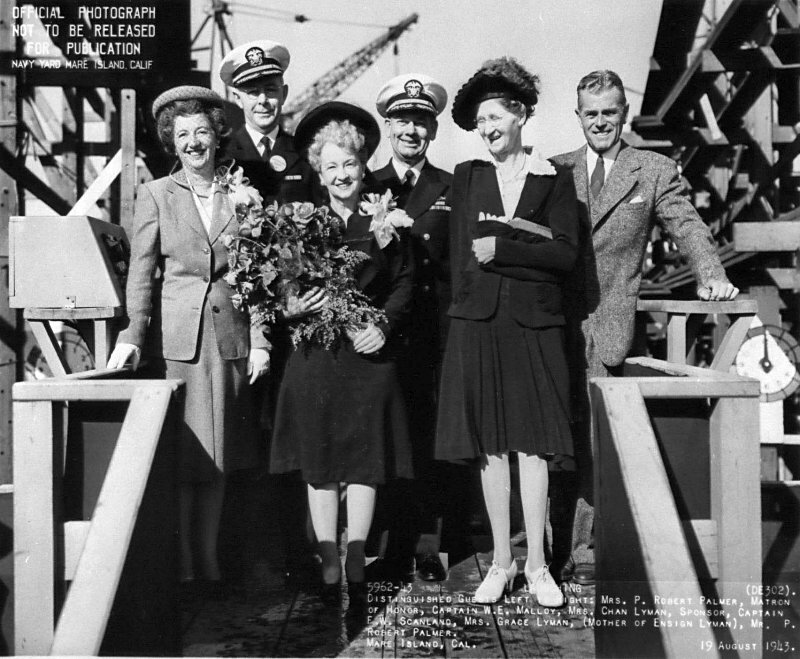 123k 19 August 1943: Distinguished guests at the launching of the USS Lyman (DE 302). Left to right: Mrs. P. Robert Palmer (Matron of Honor), Capt. W. E. Malloy (Yard Planning Officer), Mrs. Chan Lyman (Sponsor), Capt. F. W. Scanland, Mrs. Grace Lyman (mother of Ensign Lyman) and Mr. P. Robert Palmer. 122k 19 August 1943: Broadside view of Lyman after her launching. 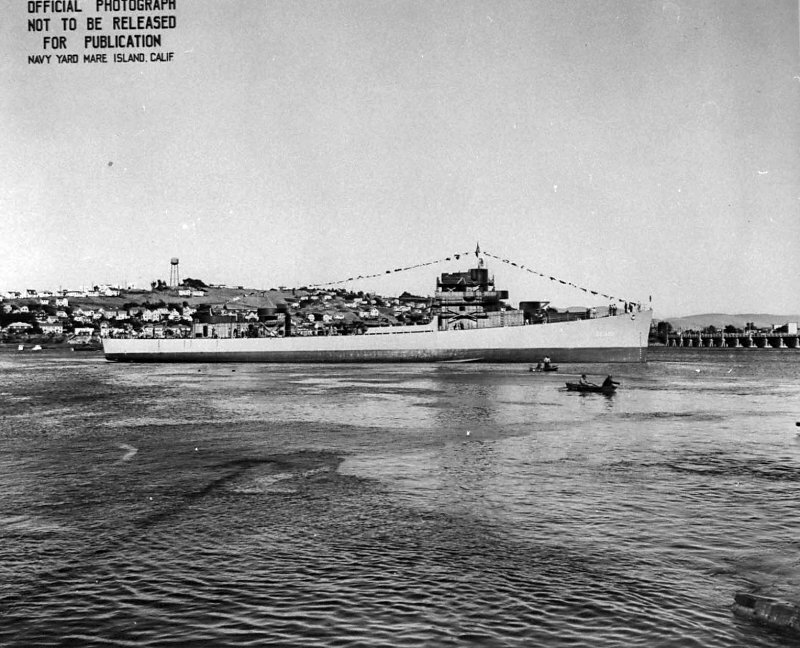 243k 10 January 1944: Vallejo, Cal. 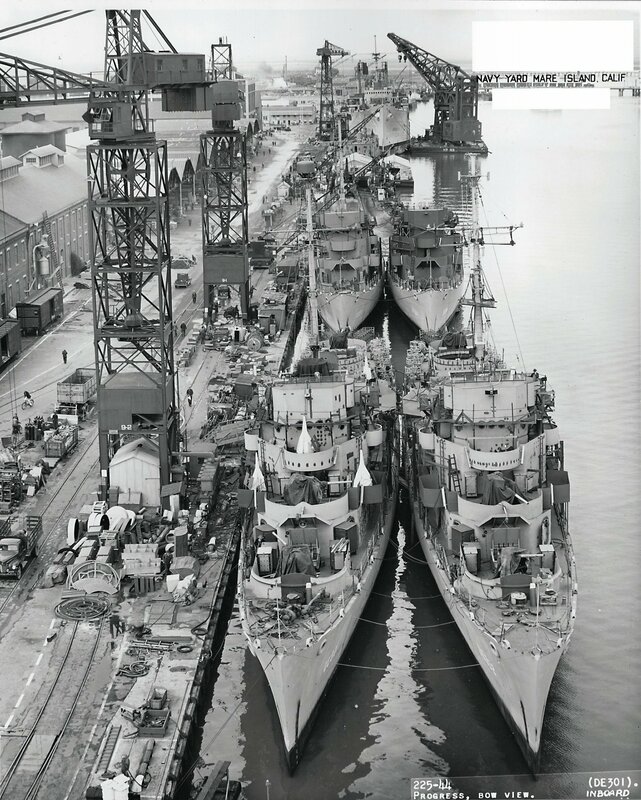 - Bow on view of Lake (DE 301) and Lyman berthed at a fitting out dock in the Mare Island Navy Yard prior to commissioning. Aft of them are Crowley (DE 303) and Rall (DE 304). 113k 23 April 1944: Bow on view of Lyman off San Francisco. 133k 23 April 1944: Broadside view of Lyman off San Francisco. 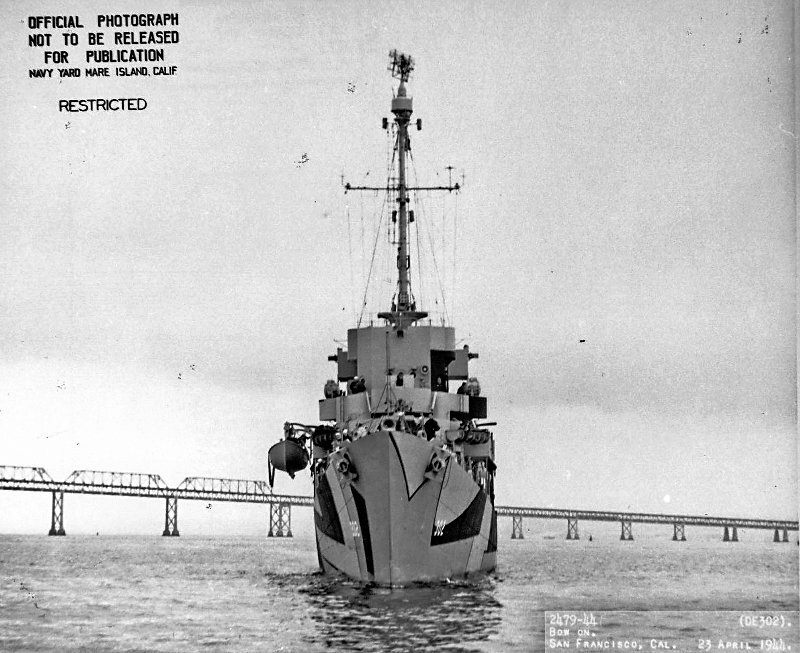 96k 23 April 1944: Stern view of Lyman off San Francisco. View the USS Lyman (DE 302) DANFS history entry located on the Naval History and Heritage Command web site. View the official War History of USS Lyman as submitted by the ship at war's end.